This package brings you the combined advantages of NEET-PG 2019-20 Full Online Test Series and NEET-PG 2018-19 Full Online Test Series (for practice). Test Material is prepared by our subject experts having years of experience in their respective fields, which ensures a complete preparation for the students by providing best analytical assessment reports and also prepares the student to compete with best brains at National platform. Its objective is to make the students across the nation familiar with the latest trends in the competitive examinations and to equip them with a platformto practice more, which helps them to attemptthe actual exam diligently and score more. 1. 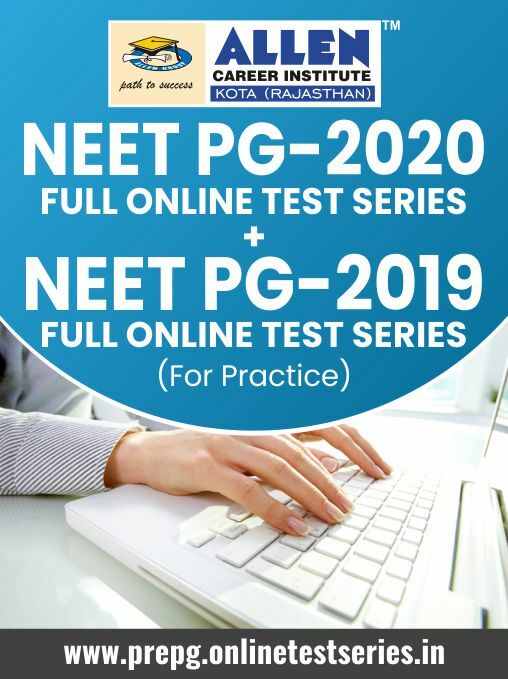 NEET-PG 2019 FULL ONLINE TEST SERIES (For Practice) WILL BE ACTIVATED AT THE TIME OF PURCHASE. 3.Cumulative Test Pattern (150 Questions, 600 Marks, 105 min). 4.Major Test Pattern (300 Questions, 1200 Marks, 210 min). 5.All Test Will be closed on 10/01/2020.